Bison / American buffalo; photo © James Ownby: My View of Nature (all rights reserved; used by permission). "TITLE 8: GENERAL PROVISIONS; 8 3 111. State mammal. The Bison bison, commonly called the American bison or buffalo, is the state mammal of Wyoming." 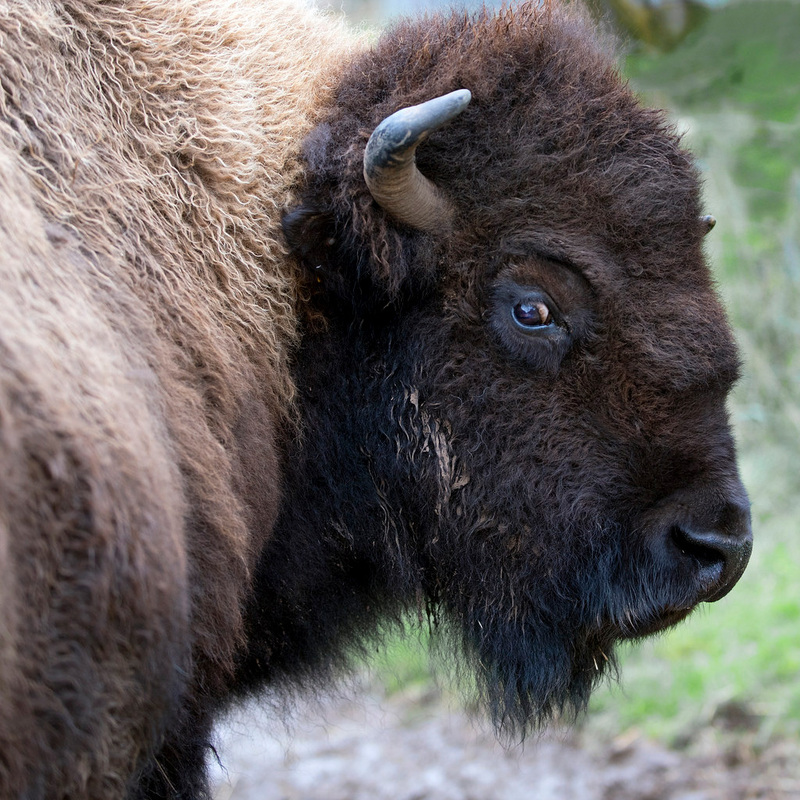 A bull bison can weigh over 1800 pounds and stand 6 foot tall at the shoulder. Bison once roamed the American prairie by the tens of millions and provided a way of life for Native Americans of the Great Plains, but European settlers hunted bison to the brink of extinction (it's estimated that between 300 - 500 animals remained when the federal government passed stricter game laws in 1889). The American bison (Bison bison) is an inseparable part of American history; no other wild animal has played such a significant role in human affairs. 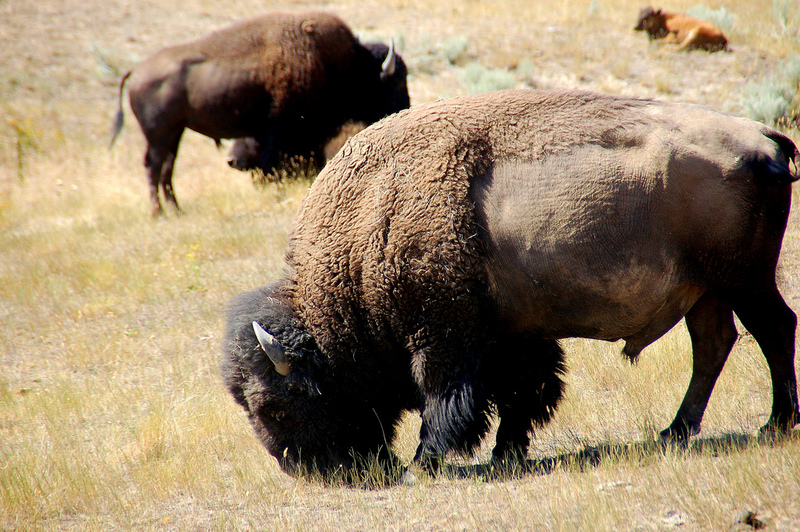 The Native tribes of the American Plains relied on bison for food, shelter, clothing, and as a powerful spiritual symbol. 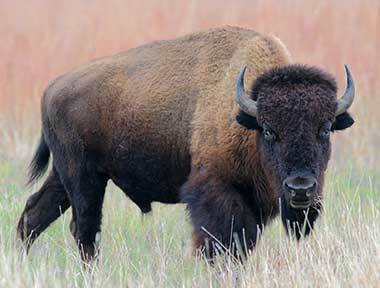 American buffalo (bison); state symbol of Kansas, Oklahoma, and Wyoming (also the national mammal of the USA). Photo by Ray Morris/Flickr (noncommercial use permitted with attribution/no derivative works). Bison (Bison bison); National Bison Range, near St. Ignatius, MT. Photo by Keith Ewing/Flickr (noncommercial use permitted with attribution). 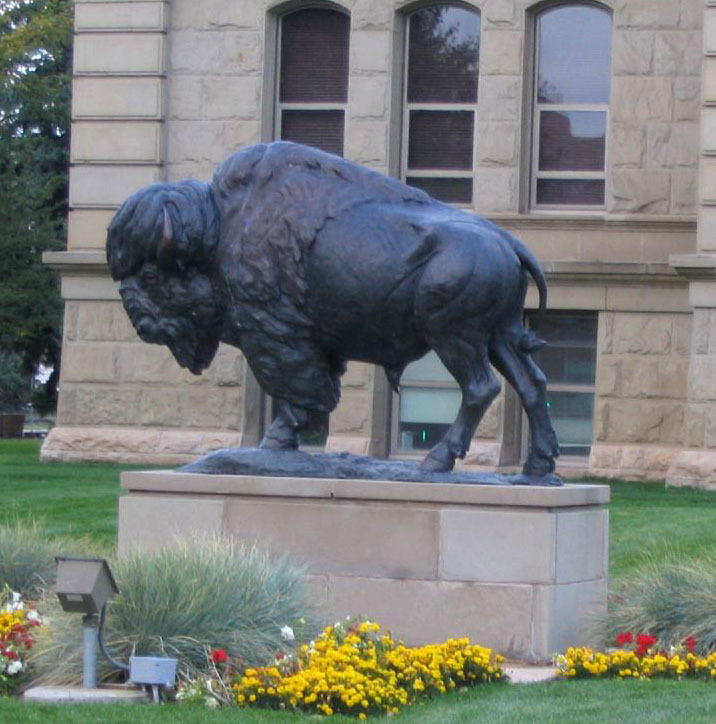 Bison sculpture; Wyoming State Capitol, Cheyenne, Wyoming. Photo by Ken Lund/Flickr (noncommercial use permitted with attribution).